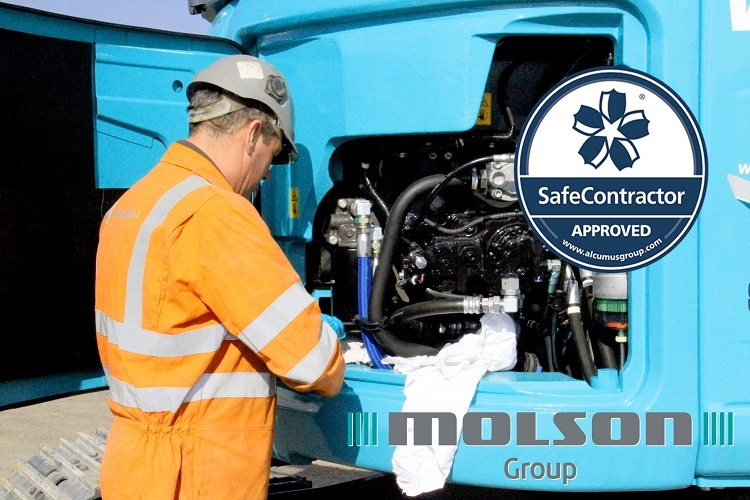 THE UK’s largest independent equipment dealer, Molson Group is awarded SafeContractor accreditation. With sites across the UK, Molson Group has had a year of rapid growth throughout 2018 and into 2019. This fast-paced growth has been by investment in the internal infrastructure of the Group ranging from IT systems through to Health and Safety processes. Since it was founded in 1996 by joint Managing Directors, Robin Powell and Jonathan Wilson, Molson is a company that has always been focused on providing a safe working environment for all staff, suppliers and customers. This approach has a resulted in Molson Group being awarded the SafeContractor Approved status. The SafeContractor scheme is a SSIP-approved health and safety assessment scheme for contractors who want to demonstrate that they’re taking responsibility for their legal health and safety requirements seriously. The SafeContractor scheme currently has over 30,000 active members and is widely seen as the badge of honour in demonstrating an organisation’s health and safety competency. The application process was managed by Molson Group Health and Safety Manager, James Smith. Since joining Molson Group in 2016, James has been instrumental in the review and refinement of the Group’s Health and Safety policies and ensuring best practice is adhered to at all times. Working with heavy plant and equipment provides a workplace rich in potential hazards and this will never change, but by creating a safety focused culture, Molson have an approach that minimises the potential risks as much as possible.